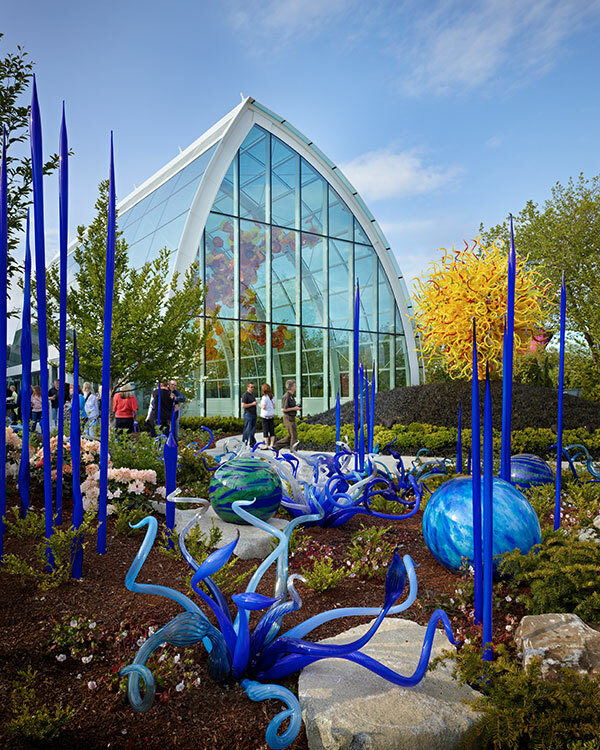 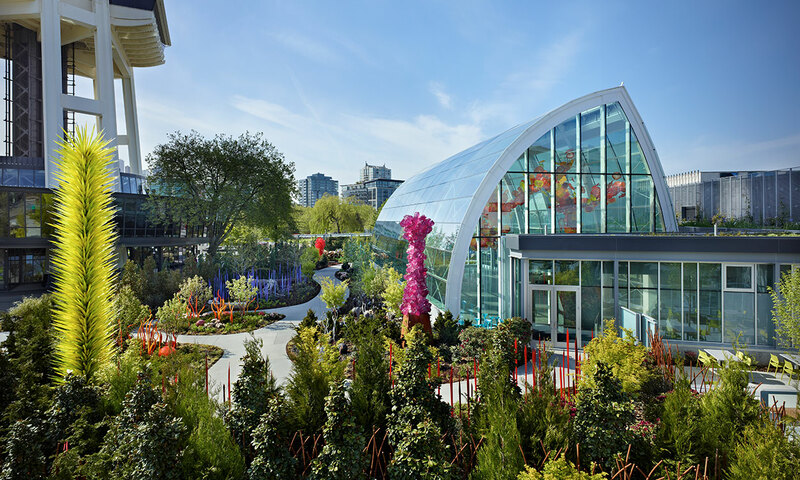 The project consisted of the renovation, expansion, and conversion of the former 20,400 sf Fun Forest Pavilion into an exhibition space for one of the Northwest’s most renowned talents: glass sculptor Dale Chihuly. 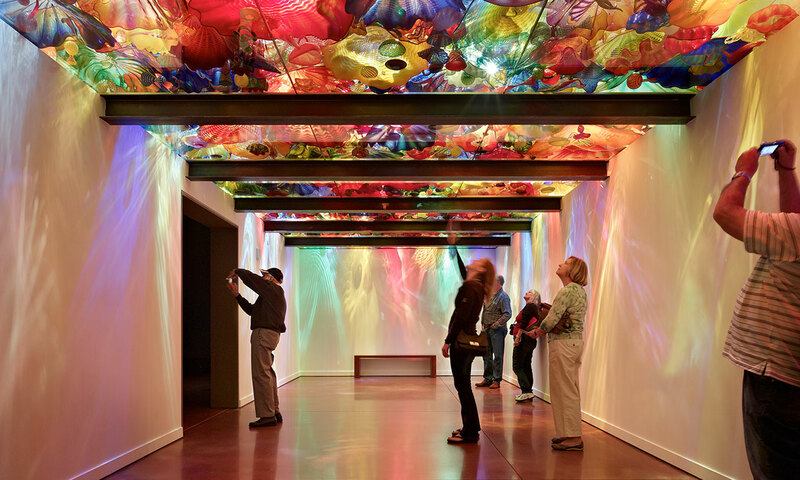 The project features nine galleries, including a five-section, 1,500-piece glass installation; a 50-seat theater; lecture hall; and dining and retail areas. 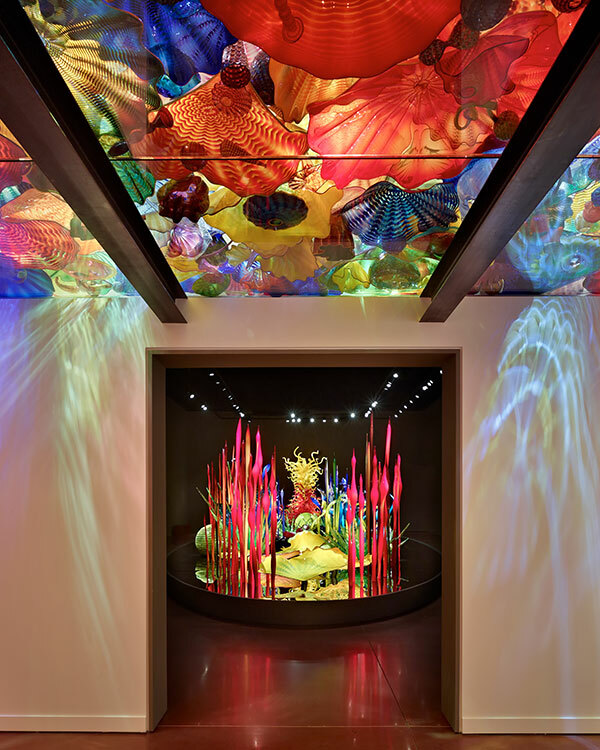 The 4,000 sf Collections Café displays Chihuly’s personal collections: chalk ware, vintage radios, bottle cap openers and accordions suspended from the ceiling. 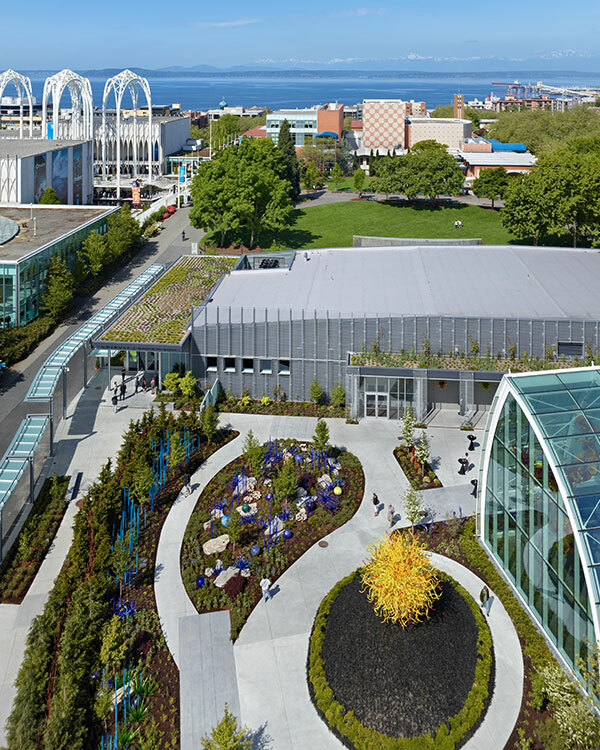 The campus includes 16,000 sf exhibit garden offering visitors an immersive experience via winding path. 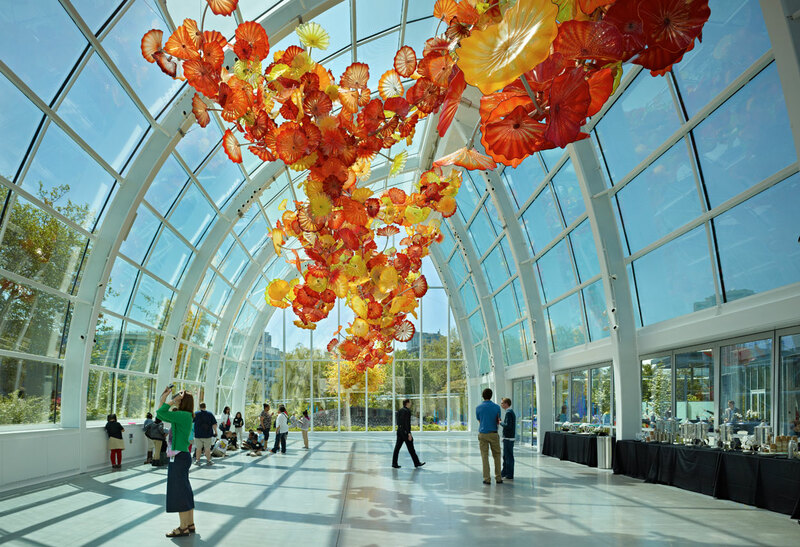 The project was completed under budget and 3.5 weeks early. 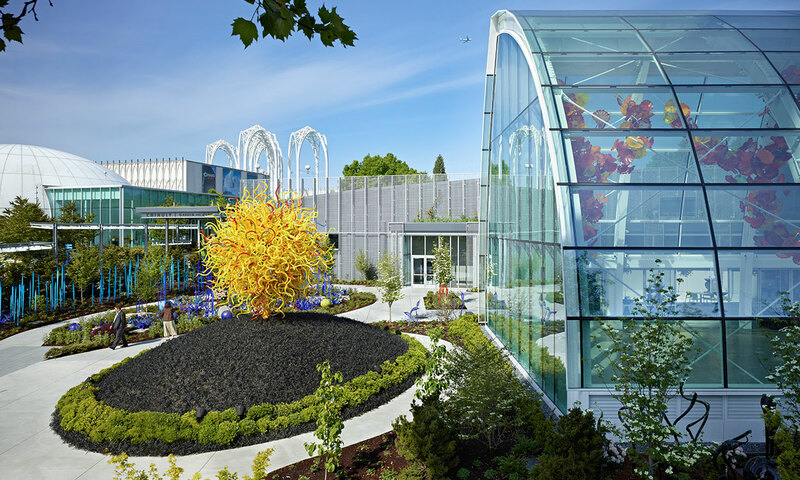 LEED Silver Certified.